As a family owned business, we take great pride in quality craftsmanship and excellent service, which allows us to create enduring products. Mark Bublitz, proud owner of Bremner Granite Company, LLC looks forward to serving families throughout the area, as Bremner Granite has done for over 40 years. Our goal is to serve the client keeping their needs first and foremost. Our team of professionals will guide you in designing a personalized, hand-crafted memorial celebrating the memories shared with your loved one. 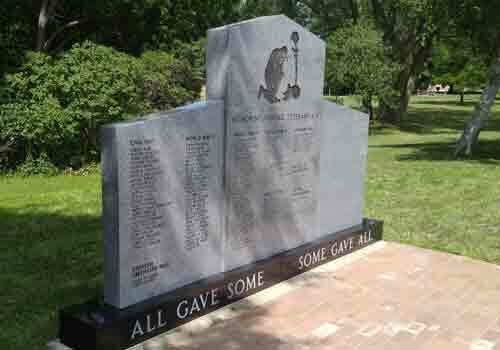 We can also help with monuments to recognize and honor individuals or groups. If you are considering a custom granite sign for your business we can help. When choosing a monument company, we encourage you to experience the handcrafted custom quality that only Bremner Granite Company LLC can do. 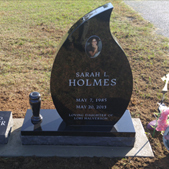 Stop by and explore the possibilities of a custom monument. With over 40 years combined experience, our staff will guide you through the process from initial selection to final installation. We have sales and service throughout the year. Cemetery delivery on a newly purchased monument is included in the price. 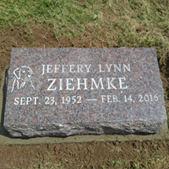 These services include a concrete foundation, the family name engraved on one side, the deceased's personal information (first name, middle initail, and date of birth). This comes with the purchase of your monument. Custom design work including personalized images, etching, childrens names, and photos are also available at an additional cost. We can also do final date lettering for monuments currently in place. Delivery and installation is available in cemeteries throughout the area. 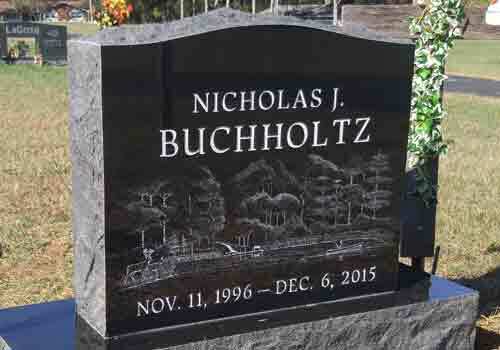 - And, always give full, prompt, and courteous attention to our customers We offer many options for a family's memorial needs, such as monuments, mausoleums, bronze markers, plaques, benches, custom statuary and final date lettering. Looking for that special monument! 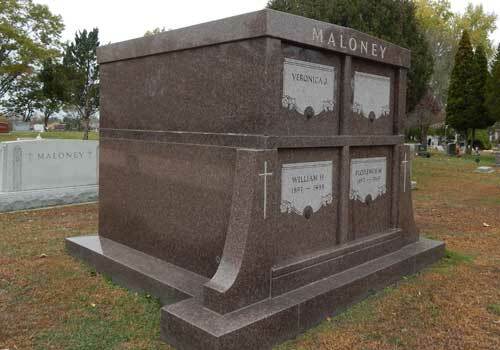 While not tall enough to be considered an upright monument, a slanted gravestone still stands out in a cemetery because the granite is cut to sit at a steep angle. It can be placed on a solid granite base or be designed to sit directly on the ground. Flat markers are also called lawn level markers, flat markers, or hickey markers. 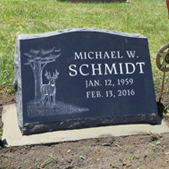 While flat markers don't offer as many design possibilities as Upright Monuments, Raised Headstones, Slant Face Markers and Bevel Top Markers, you still have lots of options. 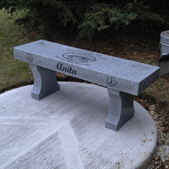 Granite memorial benches offer a beautiful addition to a cemetery gravesite. They can be used as an alternative to a traditional monument and can include a niche for cremated remains.